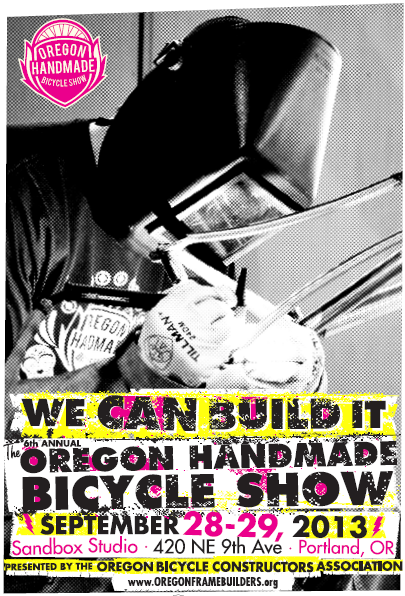 This coming weekend, the 28th and 29th of September, is the Oregon Handmade Bicycle Show, put on by the OBCA. If you can make it out, it's at Sandbox Studios. Come show your support for local builders, both new builders and those well established.